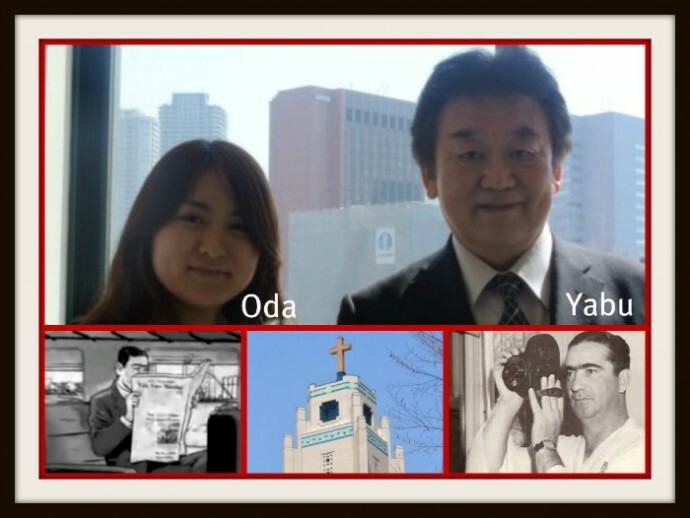 In 2012, Ed Kasputis visited St. Luke’s International Hospital in Tokyo to retrace the steps of Catcher and OSS spy, Moe Berg who visited the hospital on November 29, 1934 and shot video of the Tokyo skyline. Later during World War II, Berg shared this video with the U.S. Government. Kasputis interviews Kaoru Oda and Sumio Yabu from the roof of St. Luke’s. In March 2012, Ed Kasputis visited St. Luke’s International Hospital in Tokyo to retrace the steps of Catcher and OSS spy, Moe Berg who visited the hospital on November 29, 1934 and shot video of the Tokyo skyline. Later during World War II, Berg shared this video with the U.S. Government. Kasputis interviews Kaoru Oda and Sumio Yabu from the roof of St. Luke’s. Ed Kasputis visits St. Luke’s International Hospital in Tokyo to retrace the steps of Catcher and OSS spy, Moe Berg who visited the hospital on November 29, 1934 and shot video of the Tokyo skyline. Later during World War II, Berg shared this video with the U.S. Government. Kasputis interviews Kaoru Oda and Sumio Yabu from the roof of St. Luke’s.